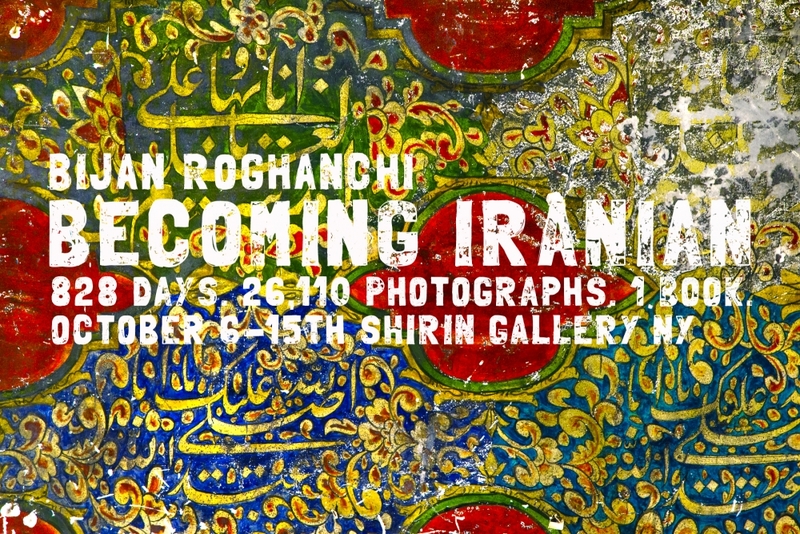 Shirin Gallery NY is pleased to present the Book launch of photographer Bijan Roghanchi's new work, Becoming Iranian (HELEDEN Press, 2016). The book, which features Roghanchi's photographs, explores themes of nationalism and identity in contemporary Iran, while he seeks out his own identity as an Iranian and American. [Text Box: Becoming Iranian, HELEDEN Press, 2016] Why do young photographers make photobooks? In recent years the photobook has emerged as the real voice of the photographer because it is “off the wall,” and circulates with an ease that the exhibition cannot. The new photobook has an authentic intimacy not really found elsewhere. Using notations, impressions, or riffs upon ideas, photobooks can fuse a frank personal accounting with poetic investigations. Thus, new photobook makers, such as Bijan, often use themselves as raw artistic material, thereby offering us a unique glimpse into their practice, as well as their process of coming to terms with themselves. Becoming Iranian is the result of Bijan Roghanchi’s two-year long attempt to come to terms with his family history, his place within it, and how it relates (or doesn’t) to the evolving realities of Iran and its history. Bijan set himself the task of breaking open the memories of his father and family. We witness him ferociously trying to discover some undeniable truth. He learned Farsi, took notes continuously, and photographed everything that happened in front of him, always trying to make sense of his new surroundings. He uses the beautiful Iranian landscape to set the backdrop for thousands of conversations with strangers. Eventually, everything merges into the miasma of memory: the notes, the writings, the places and the images. We are presented with a document of a fresh and arresting intensity—simultaneously a diary, a notebook, and a reflection of visual practice while engaging in a continuous dialogue with that practice. The raw unfiltered intimacy of these pages speaks to us of Bijan’s desire to connect with his surroundings, seeking, across boundaries and frontiers, a new method for plunging ever deeper into himself and photography. Bijan’s attempt to embrace all that he does not know and can never possibly understand produces an ever-present and unresolved tension between a bright-eyed romantic view of the world and the stark realities of life in a country where members of your family have been imprisoned and tortured. Bijan’s narrative rapidly accelerates on a collision course with notions of family and self until it cannot go any further. Until, exhausted, anxious and floundering in an alien landscape he finally embraces and accepts the strangeness around him and in him and experiences his true awareness. Born and raised in the United States to an Iranian father and American mother Bijan grew up in between two worlds, often feeling like he belonged to neither. In June 2011, he moved to Iran to spend a year understanding the place where his father was born and raised, and to which he had never been. Speaking not a word of Farsi he went to meet his family and ask what it meant to be Iranian. The goal was to spend one year in Iran; 4 months in Tehran learning the language and meeting family, 4 months in the north of the country where his family originates and the last 4 months traveling throughout the country. The ensuing body of work would use his lens of personal identity to reflect on contemporary Iran. Within several weeks of arriving Bijan was denied a medical exemption from mandatory national conscription. He could have left Iran before 90 days without serving in the military, been conscripted for 21 months, or paid $10,000 dollars to avoid the draft all together. He decided to stay and for the next two and a half years he photographed his way through the country. It took a year to pay off the military, teaching English for $2.40 an hour. He made friends, fell in and out of love, and joined the ranks of Tehran’s wandering souls. He traveled through- out the country, road tripping with friends through Iranian Kurdistan, Azerbaijan and the Turkmen Sahra. He hitchhiked across the central Iranian desert from Isfahan to the Afghan border near Tabas and ferried between the islands of the Persian Gulf. Becoming Iranian is a collection of 81 photographs narrated by captions and journal entries. The entire body of work numbers nearly 30,000 photographs, hours of audio interviews and reams of journals. It was successfully funded via Indiegogo on November 9th, 2015 and released in print from Helden Press in July, 2016. Bijan Roghanchi is a New York City based photographer and writer. His most recent work, Becoming Iranian (Helden Press, 2016), explores themes of nationalism and identity in modern Iran. He holds a B.A. in photography from New Jersey City University and certificates in languages from universities in Spain, France and Iran. Before beginning work on Becoming Iranian in 2011 Bijan worked primarily as a commercial photographer and has worked on projects that include clients such as Pepsi, Kraft, Crown Royal, and Lexus. He also produced several smaller documentary projects in Spain, France, Hungary and Morocco. 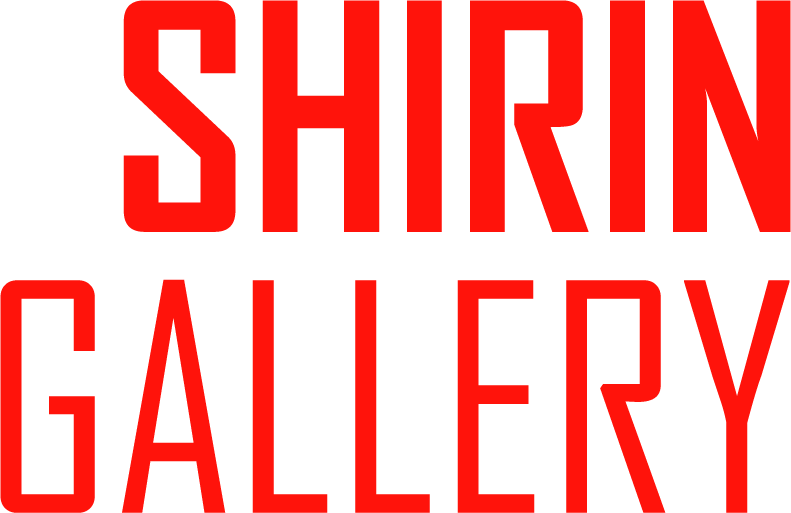 Shirin Gallery NY is a contemporary art gallery and platform for curatorial and educational activities that seek to foster international cultural exchange. Originally established in Tehran in 2005, the gallery opened a New York space in 2013 in Chelsea’s gallery district. The New York space furthers Shirin Gallery’s commitment to exhibiting works that push the boundaries of contemporary art, as well as international perceptions of the Middle East.